¿ Should Oxfordxddd be allowed to vote after entering 10 Win XP window spam entries ? 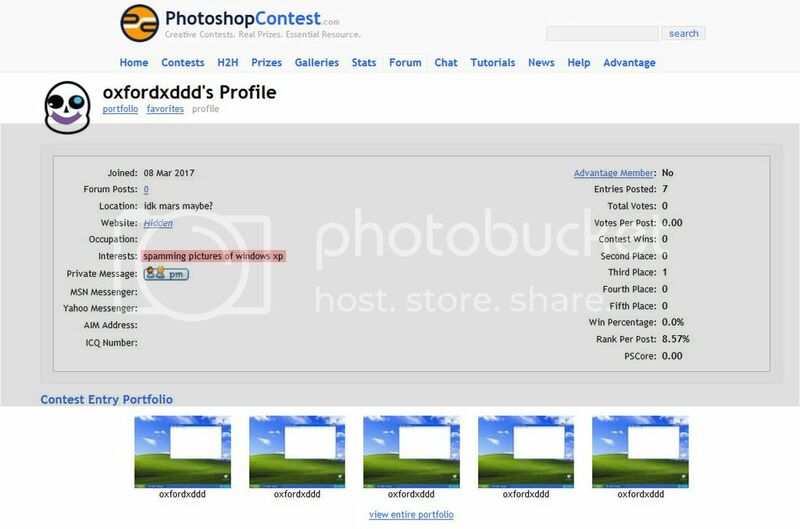 entering contests with same xp image? If yes (no matter how insane) how that could harm anyone?